Lionel started out his career in law as a Deputy Public Prosecutor and concurrently held the appointment of Assistant Director of the Computer Information & Systems Department of the Attorney-General’s Chambers. Since joining private practice he has been involved in various high profile commercial and criminal litigation cases and has advised clients on a wide spectrum of commercial and criminal matters. He has a keen interest in the field of Information Technology Law, with special emphasis on the developing area of litigation practice in the Information Technology arena. He has been involved in cases dealing with Internet defamation, Internet fraud, on-line security breaches, trade secrets and misappropriation of confidential information, telecommunication regulatory issues and software implementation and website development disputes. He advises and represents clients on intellectual property matters relating to trade mark and copyright infringements. He also advises and represents clients on IP matters relating to brand protection, licensing and franchising issues. He also advises clients on compliance measures in relation to the Personal Data Protection Act (PDPA) and is a member of the National Council of Social Services’ Workgroup for the PDPA. Lionel also advises and speaks regularly on the legal issues involving Social Media. His varied interest also encompasses advising on Sports Law matters and he held the appointment of Vice-Chairman of Etoile Football Club, the first European professional football club to play in the S-league in Singapore. Lionel graduated from the University of Hull, United Kingdom in 1992 with a Second Upper degree in Law. He was awarded the Sweet & Maxwell Law Prize for that year. He pursued a postgraduate degree at the University of Oxford and was conferred a Bachelor of Civil Law. He has also completed the Certified IT Project Manager Assessment course conducted by the Institute of System Science. Lead prosecutor in two cases involving mandatory capital punishment in the High Court of Singapore. 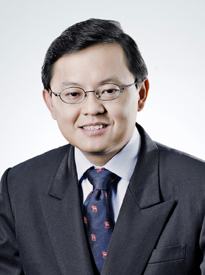 Lead prosecutor in a wide range of criminal offences in both the High Court and Subordinate Courts of Singapore. Represented the State in various cases brought on appeal to the High Court of Singapore. Represented an Indonesian Bank against an Indian Software Developer in a high-profile arbitration with respect to a Software Implementation Contract. Involved in high-profile litigation with respect to solicitor’s negligence suits in the High Court of Singapore. Advised and represented a major supermarket outlet in respect of operational matters, ranging from contractual claims with suppliers, terms of employees’ contract and lease agreements. Represented major software developers with respect to enforcement actions to protect intellectual property rights. Represented major software developers embroiled in a high profile litigation suit with a public listed company. Advised a major accounting firm commissioned to conduct an investigation into a high-profile computer fraud committed by an employee of a public listed company. Advised clients on cases of cybersquatting and domain name disputes. Represented clients involved in contractual disputes with software developers. Represented e-commerce clients in contractual disputes with webpage developers. Advised on disputes involving disgruntled employees of commercial companies stealing and / or tampering with confidential computer files. Appointed as a Supervising Solicitor in Anton Pillar/Search Orders taken out for the protection of intellectual property rights. Representing clients involved in contractual disputes in relation to the distribution of online computer games. Advising clients on legal issues relating to implementation of Social Media policies and guidelines for their companies. Advising a publicly listed company on their full compliance program for the Personal Data Protection Act. Advised a regional airline on their compliance program for the Personal Data Protection Act.